It’s another Mascot Monday, but more importantly it’s another Memorial Day here at the KCCGD. Last year we took a look at Army’s mascots, but this year it’s the Navy’s turn. 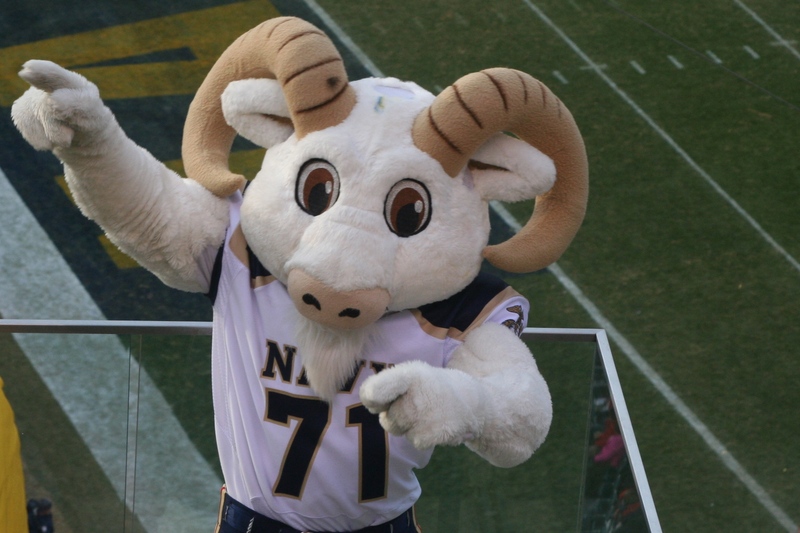 So why is a goat, Bill to be specific, the mascot for the Midshipmen? We’ll find that out as well as look at Bill throughout the years. As an added bonus, we’ll get to Bill fire off weapons and blow up stuff in between. All fun aside, let’s remember the men and women who perished in combat while we take a journey through Bill the Goat’s decorated achievements, both live and plush style.